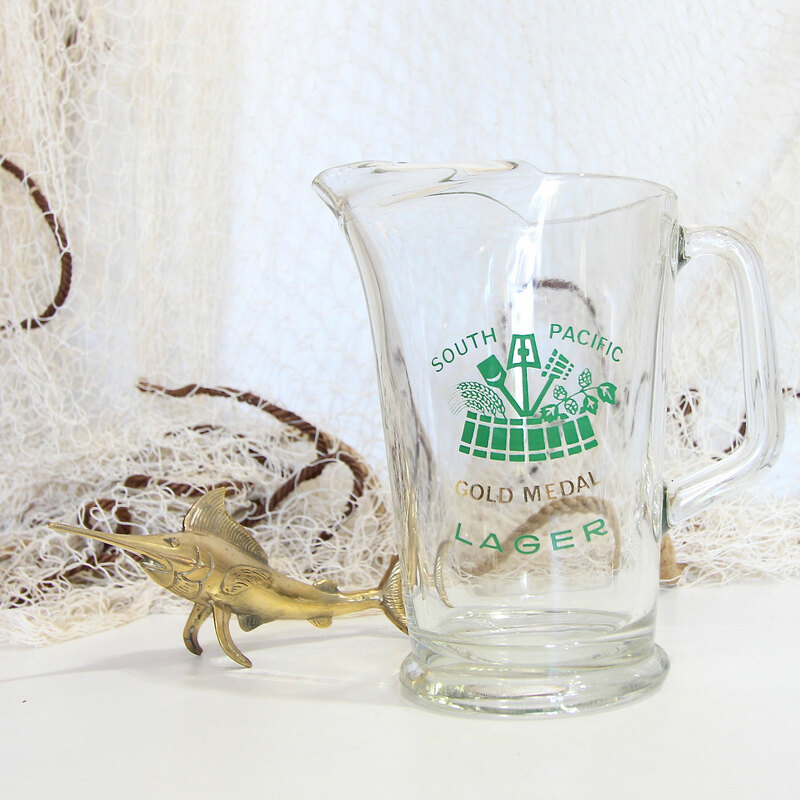 Wouldn't this look perfect in the man cave? 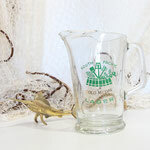 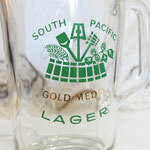 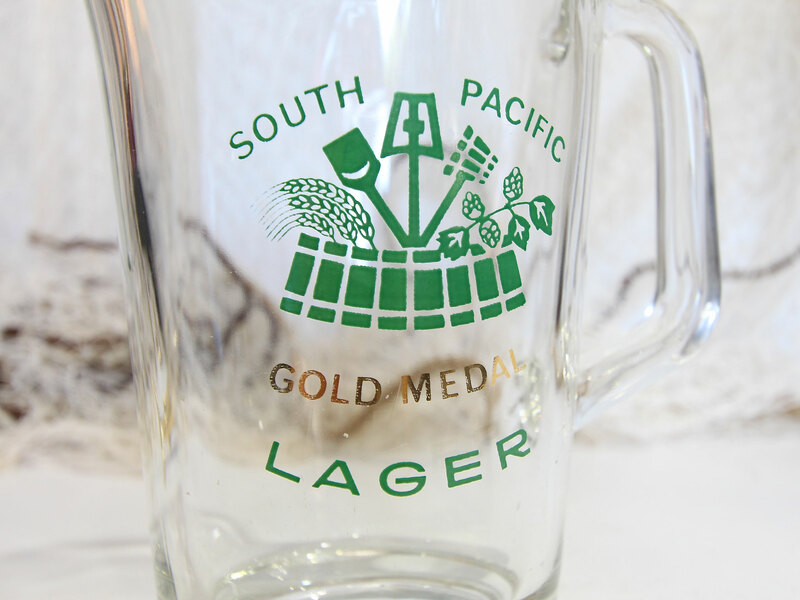 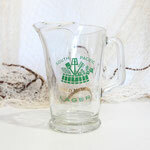 This jug has a green and gold South Pacific Gold Medal Lager logo on it's side that features artwork of hops and barley. Perfect for the bar or the drinks cart.